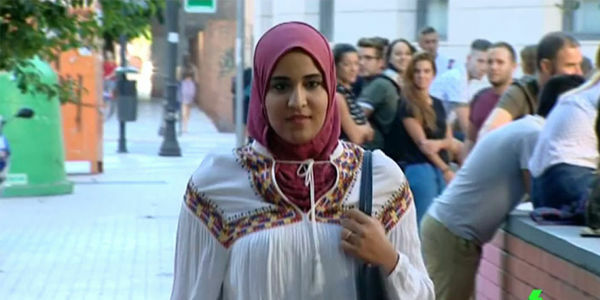 Takwa is studying a tourism degree at the Institute Benlliure in Valencia. But since a week ago she can no longer attend classes: the High School Administration has prohibited her going to school while wearing a veil because it contradicts a school rule that bans head covering. Takwa doesn’t want to remove the hijab, because it's a part of her identity. Besides, she is already an adult and has freely taken ​​the decision to wear it. It’s understandable to ban in public places clothing that hide the face and make people invisible, but hijab doesn’t avoid recognizing anyone, and as part of the identity of many Muslim people should not be prohibited. Besides, the ban would only be useful to block the integration of many of these women, who will be pushed to stay at home. Join me and ask the Benlliure Institute of Valencia to allow Takwa to return to class wearing a hijab. Do not let this girl being stripped of her right to education. Please, allow Takwa to return to class wearing a hijab.